Located just 7 nautical miles south of Brna bay on Korcula island, Lastovo is one of the remotest and most unspoilt Croatian islands that is also a protected Nature Park. The island’s archipelago that covers the area of about 54 square km consists of 46 small islands and islets. The population of the island is about 850 permanent inhabitants. The largest place on the island is also named Lastovo, where most of islands inhabitants permanently lives. Initially settled by Illyrians the island later become part of Dubrovnik‘s republic Ragusa. In the 19th century was ruled by Austria-Hungary, later by Italy and finally became part of Croatia. The whole archipelago was for 50 odd years closed to foreigners and finally opened in 1989 for visitors from any corner of the world. The nearest swimming spot to Lastovo village, Mihajla beach is located just about 20 minutes downhill walk (and 30+ minutes uphill walk back 😉 ) from the Lastovo village. This very popular swimming spot is easily accessible by foot (or by bicycle) and is also very popular among locals and visitors of the area. The island is conveniently connected by daily ferry and fast catamaran services from Split, Hvar and Vela Luka all year round. In summer months (July and August) it is also connected two times a week by fast catamaran ferries from Korčula town, Mljet and Dubrovnik. Find all details of public transport to the island and on the island on croatiaferries.com and lastovotravel.com websites. 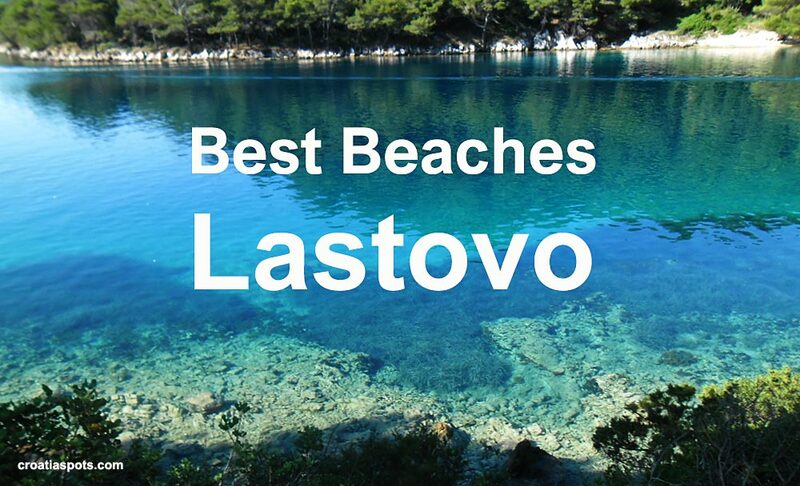 Final thoughts: This is a completely subjective selection of best swimming, sunbathing and snorkelling spots on Lastovo. I can not guarantee that you will agree with me so let me know what you think about my selection in the comments below.